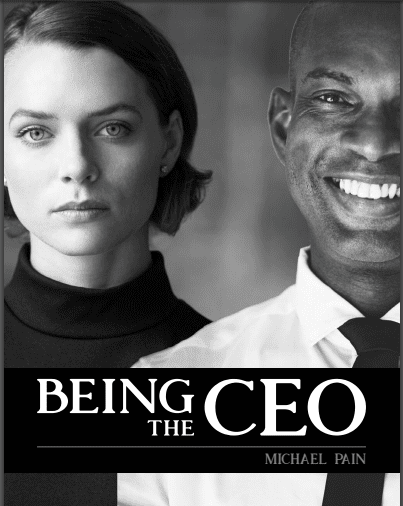 In my upcoming book, Being The CEO, I have attempted to articulate what the role of the CEO is (and, what it isn’t). No simple task! The book has been a few years in the making, and only a few months in the writing, having spent countless days on the road training and advising CEOs (and boards) through the work of Forum Strategy. What is clear, is that the CEO role is still very new to the education sector and there is certainly no single, defining approach to the job. What’s encouraging is that an air of mystery surrounds the role in other sectors too – with a CEO’s success depending on context, resources, timing, and luck as well as leadership. This is why so many CEOs are natural risk takers and can live with a fair degree of ambiguity and uncertainty. It comes with the territory. As I say in the book, there’s no OS map for navigating the CEO role, just – at best – a guiding constellation of stars in the night sky. The CEO can – with a clear sky – put themselves at an advantage by reflecting on the role, and considering how they use the influence inherent within it to raise the chances of success. You are the accounting officer. The buck really does stop with you, not with the local authority or someone else further up the tree who you can refer the issue to. That brings an added weight of responsibility and accountability – which means ethics and values are at a premium. The job can feel very lonely, but it shouldn’t do. Whilst some CEOs fall under the weight, others embrace a new level of autonomy and freedom which, if supported by the right team of people around them and a high calibre board, can manifest itself in greater innovation and a greater ability to respond to the needs of those you serve. The good CEO maintains a ‘direct line of sight’ to the frontline – be it the pupils in the classroom, the hospital ward, or the shop floor. You will find yourself leading diverse teams of professionals who are ‘the experts’. This is a defining shift. The headteacher or executive headteacher generally leads a senior leadership team of those who belong to the same profession. You are still seen as the ‘expert in the room’. 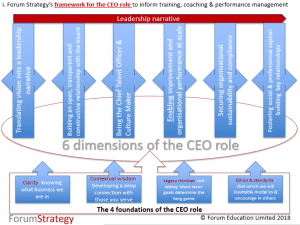 A CEO does not generally work within the same SLT dynamic. As I say in the book, this is the move from ‘expert in chief’ to ‘learner in chief’. The mindset must change from being ‘the person to ask’ to the person who knows enough about each discipline and how to view specialist issues through a strategic, whole organisation lense. A good CEO will listen, listen hard, review all the facts and advice, and take the decision – often on the best advice of their people and through a good dose of intuition fed by their years of learning and experience. That is inherently risky, and so the good CEO spends so much of their time building a team of talents who are far better than them. You must prioritise the sustainable development of the organisation. This means taking responsibility for the ‘whole organisation’ and the inter-dependencies between school improvement, HR, finance, technology, health and safety, governance and otherwise. The Executive Head can get away with employing a business manager who may be an accountant and can ensure budgets are balanced and some economies of scale are achieved. I am firmly of the view that a good CEO needs an experienced Chief Operating Officer, who can ensure operational delivery across the board, ensuring that the organisation is investing strategically in its people, its resources, and its relationships with others externally, to ensure the quality of provision the CEO expects. In an age defined by austerity and complexity, the CEO needs someone with an entrepreneurial mindset at their side, because maximising income and resources for this generation of children and their educational experience is at a premium. Entrepreneurial leadership is not a ‘dirty phrase’ anymore – it is a moral imperative. Simply cutting where we can and hoping for politicians to be generous is to fail in the defining challenge for this generation of leaders. To succeed here, a CEO requires someone who has experience of the world of enterprise, customer service, and organisational development – not simply restricted to that of budgets and procurement. This probably will – at this moment in time, at least – require the CEO to look beyond, rather than within, the sector for talent. You will have an even wider outlook on the world. As accounting officer and having the autonomy and freedoms they have, a CEO will need to foster a broader set of relationships internally and externally. Internally, given the size of the organisations they lead, they will need to ‘step up’ the way in which they communicate, sharing their leadership narrative through a range of mediums and events – and repeating it often (! ), with authenticity and clarity. This will also help them to clarify their message externally, which will become even more essential. The organisation is not an island, it will – particularly in an age of austerity and complexity – need to engage and involve a wide range of stakeholders. The CEO must lead on this, being discerning in which partnerships align with organisational strategy (and which will just sap time and energy) and taking time to develop positive and constructive relationships with a broad list of stakeholders who they maintain relationships with – not least ministers and local politicians, local businesses, health leaders, and community groups to name a few. This is the age of leadership for generating social and professional capital – and the CEO is at the heart of that. Your professional development and support is even more important (not less so) now you are CEO. CEOs need to invest time in understanding the politics and the political dynamics their organisations are operating within – this is not simply about responding to education policy, it is about playing your part in education policy development and sector ‘thought-leadership’ wherever possible. This is your professional development. It’s also about having a broader view to changes in charity law, employment law, health and safety regulations and economic regeneration projects – all of which may impact your organisation. Social and economic issues must be monitored and anticipated – feeding into strategic planning. Currently these can include, for example, risks and opportunities of emerging technologies, the changing nature of the jobs market – and employee expectations, and understanding trends such as worsening mental health issues and how to mitigate these. The CEO should embrace the advice and guidance of a board of trustees who can bring a level of insight appropriate to the scale of the organisation and its influence; – not having access to a good board is a real danger for a CEO and should be a big consideration when taking on the job. 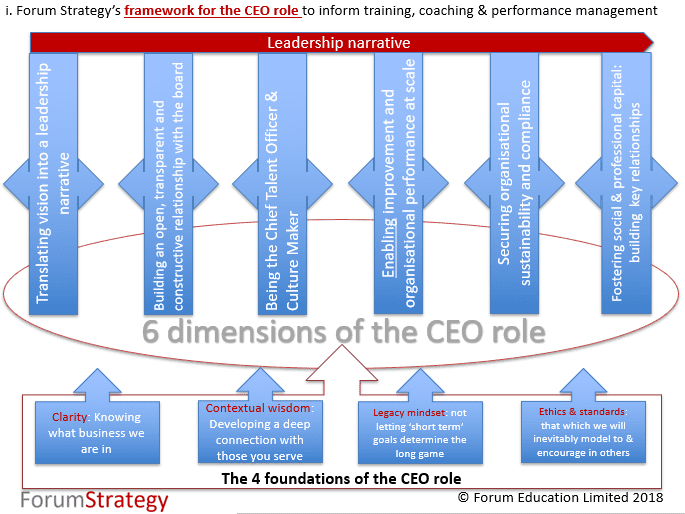 The role also requires the CEO to set aside the necessary time for strategic reflection and planning – something our weekly #MATLeaders briefings help to facilitate, given that some CEOs struggle to set even an hour aside to this in any given week! Finally, the transition to CEO also usually involves a transition in executive support. You need executive support of the highest standard – a PA or executive assistant who can interact confidently and on your behalf with senior external stakeholders and governing board members, and who can fulfill the role of managing the CEO’s diary – something that has a direct link to your ability to do the job, and to do it well. Michael Pain is CEO of Forum Strategy.